I finally got my Starbucks card last week. 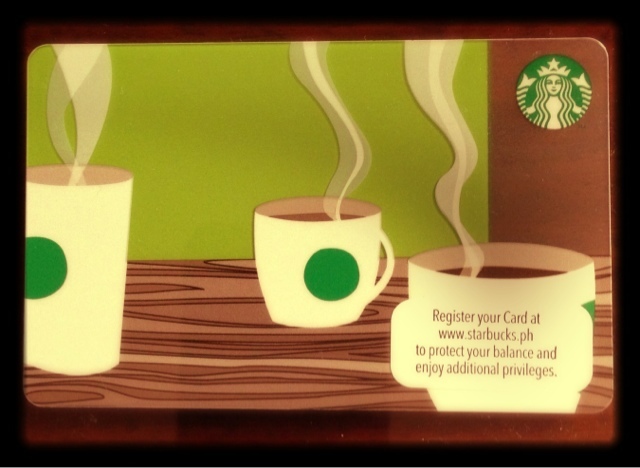 It's a prepaid/loyalty card that you can use to purchase your favorite drink at Starbucks and earn points to get rewards. It was the last day of their promotion where you load PhP1,500 and you get an additional PhP300 load free. I have to thank the girl at the counter for convincing me to do so. I took her advice and registered my card just last night. It only took me some minutes to register since the website was still going crazy. I just wonder why a big company like this launched a promo without totally preparing their system. Like, didn't they know how many frequent customers they have that would want to avail of their card? Anyway, after getting the confirmation for my registration I got the message that I am entitled to a free grande size of any handcrafted drink of my choice. All I need to do is show my Starbucks card to the cashier on my next visit. 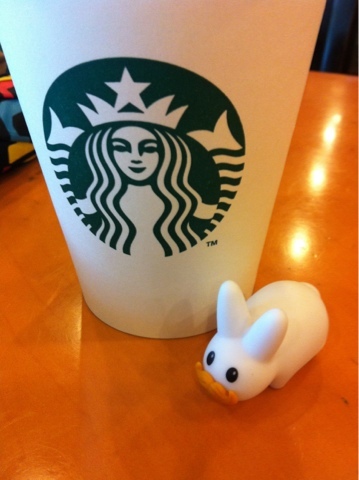 I didn't waste time and went to my favorite Starbucks café this afternoon to redeem my gift. Guess what the cashier told me. The guy at the counter told me that their system was still a little loopy and I need to wait a few more days for my card to appear in their system. I really showed on my face my disgust with his comment. Poor guy told me that he will still try to see if my card works. Wonder of wonders it did and I got my free grande size drink. I chose a hot café mocha and shared it with my tiny mustachioed friend below. So I am off to a good start to get my first reward. I only need 11 more stars to receive a complimentary grande drink. Or I can buy 10 bags of Starbucks coffee beans using my card to receive a free bag of beans. for more info visit starbuckscard.ph. This blog is not associated in anyway with Starbucks Philippines.